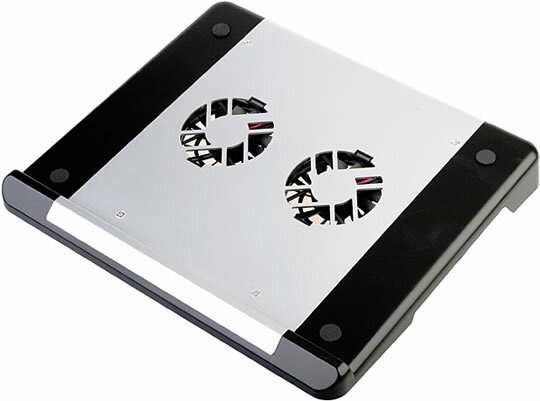 This Notebook Cooling Pad has built-in 2 fans and together with 3 USB 2.0 ports. 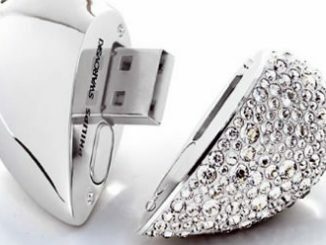 It is good for cooling down your laptops and convenient for you to connect any other USB devices. 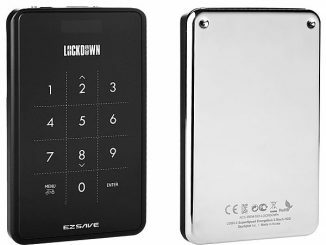 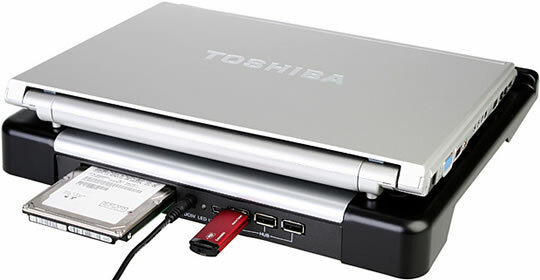 In addition, it designed with a 2.5″ SATA HDD slot. 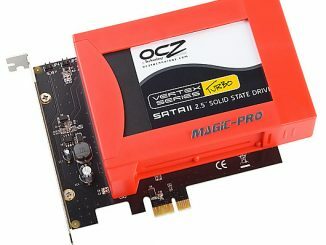 You can plug any 2.5″ SATA hard drive to extend your storage conveniently. 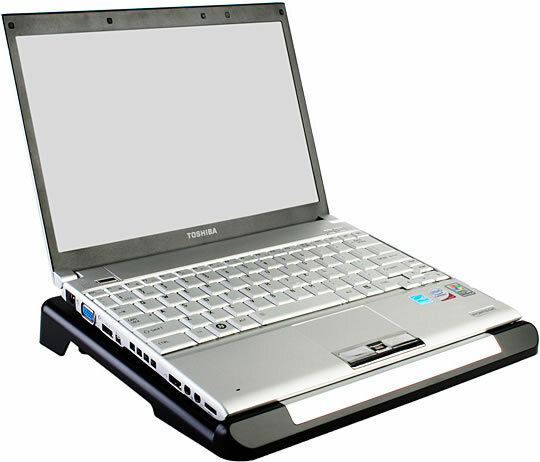 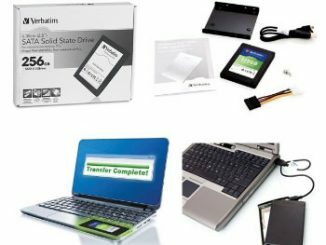 The USB Notebook Cooling Pad + 3-Port Hub + 2.5″ HDD is available over at the USB Brando website for $33. 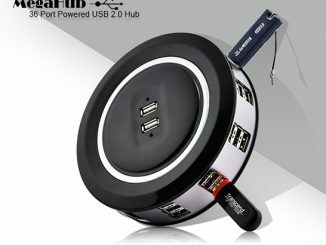 I need one of this to my laptop. 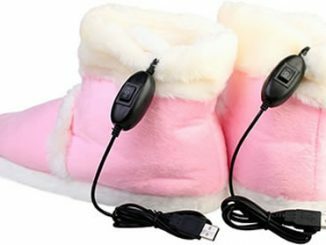 It’s so hot – like meeeee! 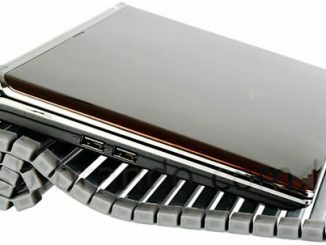 nice post, i don’t know there was a laptop cooler like that. 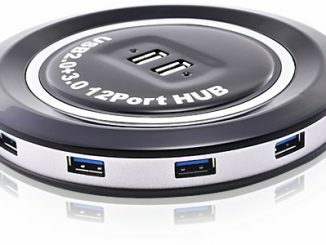 This dock / 4-port USB hub combo makes it easy to backup and transfer data via USB by plugging in any 2,5 or 3,5 inch SATA hard disk in the device. 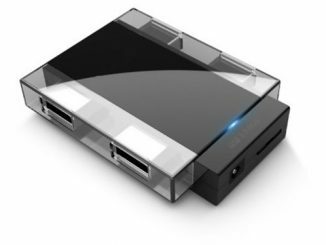 This multi-function desktop gadget will provide you with a 2.5-inch SATA HDD dock, a 2-port USB 2.0 compliant hub, and a 3-slot card reader.